Come run this 5K on the beautiful Oconee River Greenway in Milledgeville, GA. 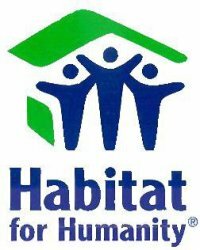 The proceeds will benefit Habitat For Humanity Milledgeville - Baldwin County. Awards: Overall Male/Female, Masters Male/Female, and Top (3) Male/Female in age groups 10 and under through 75 and over (5 year increments). Shirts and Goodies: Shirts are guaranteed to those who register by 3/28/18. Those who register after that date and on race day are not guaranteed a shirt or size. There will be plenty of refreshments. DIRECTIONS: Take Hwy 49/E Hancock St/GA 22 E through downtown going towards the Oconee River. Before you reach the bridge, you will see the gravel entrance to the Greenway on the right (right past the Salvation Army Thrift Store).